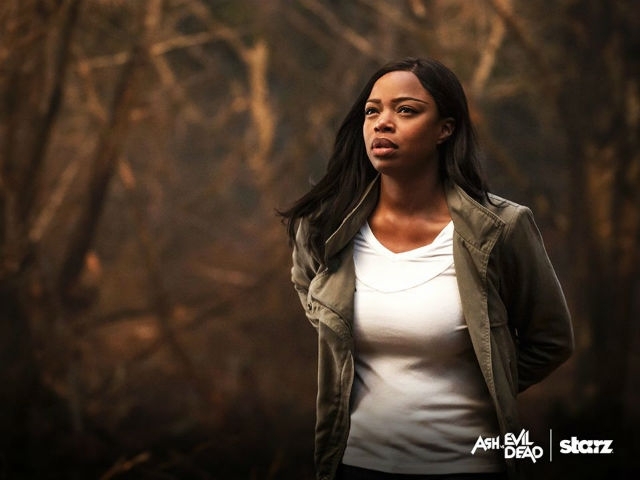 I recently got the amazing opportunity to speak directly with Jill Marie Jones, one of the stunning leading ladies of this past Halloween’s big television premiere, Ash vs. Evil Dead. The series is directly related to the 1981 horror classic that started it all and spawned two favorable sequels. Much anticipation bubbled when the public was privy to the heavily central involvement of the trilogy's parents in writer/director Sam Raimi and star Bruce Campbell. The announcement of Jones' role as a star player put this series immediately on my radar. While genre television isn’t new to Jones with her appearances on American Horror Story as well as Sleepy Hollow, many remember Jones as the complex character of Toni Childs on UPN’s successful sitcom Girlfriends for six seasons. 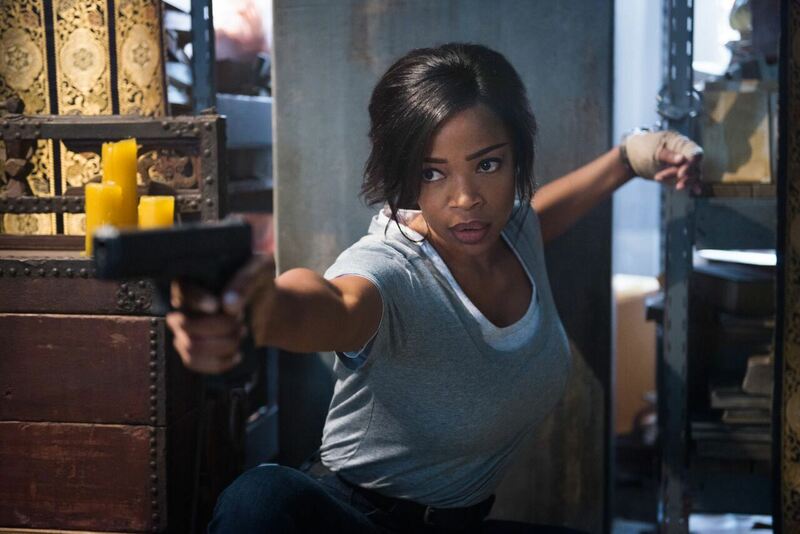 Jones is fully aware of the impact Toni has had on audiences and admits to slight 'performance anxiety' whenever the character is brought up. But she's proven herself to be a skilled chameleon in her craft. Whether it's a sexually fluid southern belle or a reluctant mother, Jones has created a multitude of characters that are memorable and distinct. There's no doubt that her Ash vs. Evil Dead undertaking will present anything less. Jones is Amanda Fisher, a law enforcement employee on a mission to put the pieces of her personal life and career back together with all roads leading to Ash (Bruce Campbell) and his pair of combat comrades battling the forces of evil in the form of deadites. Describing myself as "pumped" after seeing Jones in action would be an understatement. This tied in perfectly with why the role appealed to her so much, "One of the reasons I signed on for Ash vs. Evil Dead is because no one’s ever seen a TV show where all the main female leads are badasses. I was shooting guns and knocking people out and I just loved it. No man is coming in to try to save the day or help. They might try, but it’s like you know what, I got this. I just really love that." "she believes in good and the good in people. Amanda has a sense of humility about her. I had two meetings with the amazing Sam Raimi before I left New Zealand which is where we shot. We just had these beautiful sessions about who did I see Amanda being and then he would tell me what he saw. I love that he gave me permission to be able to kind of create a little bit of her story. It was just a joy to be able to play. My mom was a federal investigator and she taught me that you can be strong, you can be tough, you can be definitive in what you have to say, but you can still be kind and nice and have a heart and be sweet. So in a way, I felt like I was playing my mom. So there’s definitely an arc. You will see a lot of growth in Amanda in the first season and there’s always room for more. I’m trying not to give too much away but you’ll see her heading in different directions that all make sense for her character." So far the series has a gore and comedic factor that's infectious, and Amanda comes out of the gate as a critical player as the series progresses. It's exciting to note that Ash vs. 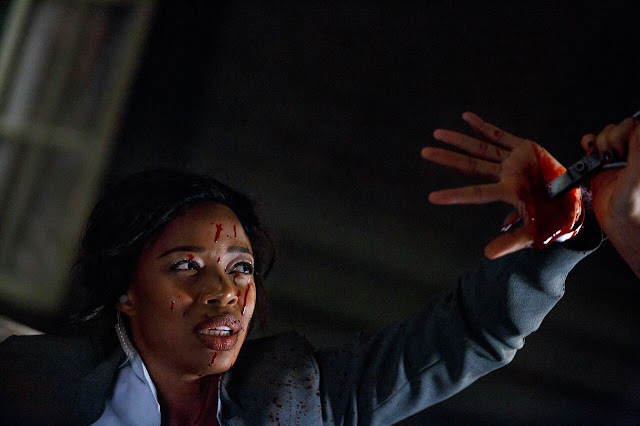 Evil Dead has secured an anticipated season two with a steady rise in positive reviews. If you haven't checked it out yet, do so. It is an affirmative to Jones' personal investment in its success!